ACCESS to the best medicine has been enshrined as a human right. But many healthcare systems are already spending half of their budgets on drugs, while ageing populations in countries such as the UK are creating increased demand for high-cost treatment. So how can that access be made affordable? A new book edited by a University of Huddersfield professor explores the issue. Zaheer-Ud-Din Babar is Professor in Medicines and Healthcare at the University's Department of Pharmacy. He is globally recognised for his research in pharmaceutical policy and practice. His latest book, which has contributions from almost 30 experts around the world, is the 238-page Equitable Access to High-Cost Pharmaceuticals. 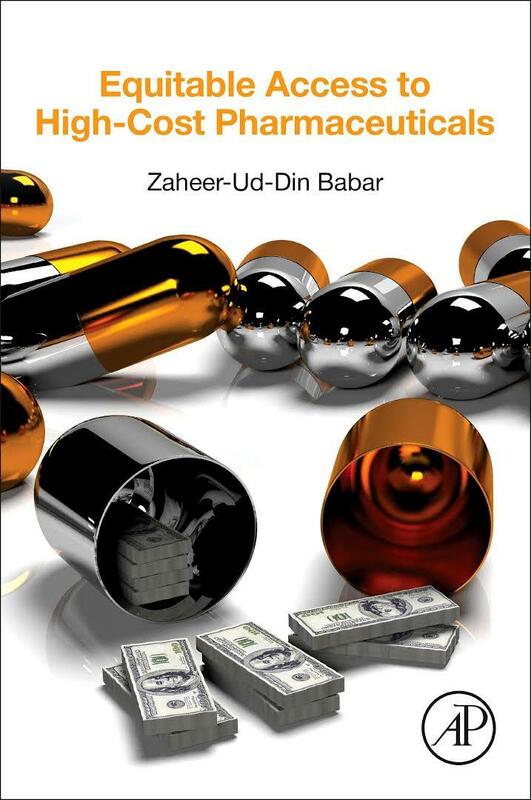 It begins with an overview – one of the chapters co-authored by Professor Babar himself – and subsequent chapters examine the issue of high cost medicines in a wide variety of countries, including England, Wales, New Zealand, Australia, Portugal and Europe as a whole. The emphasis of the book is on higher income countries, although there is also a chapter on low income countries in Africa. "According to the UN, access to medicine is a fundamental human right, like access to water or sanitation. So we don't need to treat it like other commodities, and that's where the tension arises," said Professor Babar. "In some countries, 50 per cent of the health budget is going on high-cost drugs such as anti-cancer medicine, drugs for immunological disorders, blood disorders or rheumatoid arthritis, for example. Who has the responsibility for making these medicines affordable?" The new book, by analysing the solutions developed in a wide range of countries, will be useful for funding agencies and researchers around the world, enabling them to make comparisons, said Professor Babar. "The issue is going to be more complex in the future, because people are living longer, meaning they will have more serious illness. So funding of high cost medicines, taking the biggest chunk of health budgets, is going to be more crucial." Professor Babar describes the newly-published Equitable Access to High-Cost Pharmaceuticals as an exercise in documenting current practice, establishing a baseline. A follow-up book – now in the planning stage – will offer solutions and recommendations. But among the issues explored in the current book is the funding and reimbursement of new medicines. New models are needed, said Professor Babar. "The pharmacy industry is charging so much because it argues that it is investing a lot in R&D. But there is a lot of public money involved in drug development – through universities for example – so the public is effectively paying twice." This could lead to a case for the price of drugs to be delinked from the cost of their development, said Professor Babar. The new book has chapters that explore issues such as intellectual property rights and universal access to essential medicines.